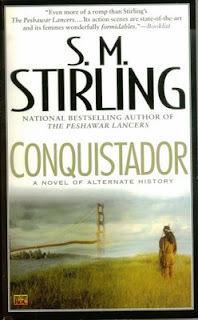 Once again reviewing the last book in a series is often times a fruitless enterprise. Then again, if you may have passed over this trilogy, allow me to point out the error of your ways with this brief encapsulation of what occurred in the first two books; FRANKENSTEIN - PRODIGAL SON and FRANKENSTEIN - CITY OF NIGHT. Both Victor Frankenstein and the man he created from spare parts survived throughout the ages. The mad doctor, after centuries of working with other egomaniacs like Hitler and his kind, ends up in New Orleans as Victor Helios, a wealthy man with a reputation as a philanthropist. What no one is aware of is the fact that Helios has perfected the scientific process of cloning and is busy making what he calls the New Race. Built in cloning vats, they are faster, stronger and more durable than mere humans, the Old Race. Helios’ plan is the complete and utter annihilation of the Old Race, replacing it with his artificial people. The only things standing in his way are two street savvy detectives, Michael Madison and his partner/lover, Carson O’Connor and Helios’ original creation, still alive and calling himself Deucalion. Over the centuries, Deucaulion has become a philosopher and realizes the true horror that is Victor Frankenstein. He has vowed to stop his creator and end his mad dream once and for all. In the first two books, Decaulion and the two detectives began to unravel Helios’ master plan and learned that many of the city’s officials and law enforcement chiefs had been murdered and replaced by Helio’s cloned replicants. In this the third and final chapter, Decaulion sets out to infiltrate Helio’s clone factory and his ultra secret laboratories to destroy them. But to do so, he and his allies will have to face unimaginable horrors. At stake the very survival of mankind. 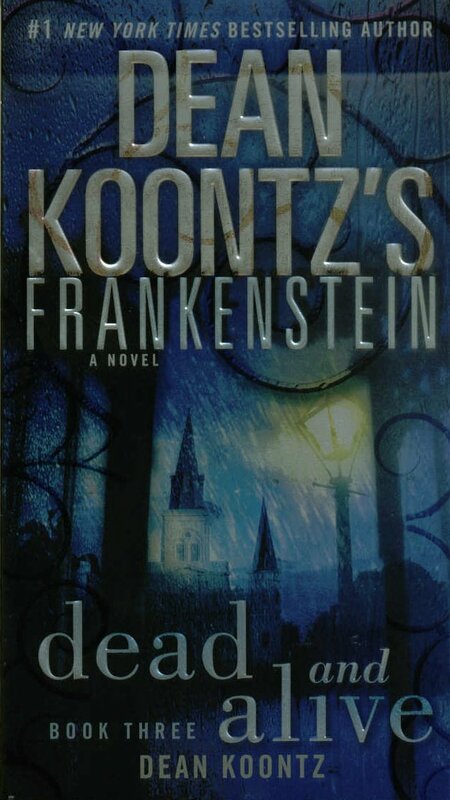 Spinning the old Mary Shelley classic on its head, Koontz has a grand time making the “monster” his noble hero and the scientist the immoral, heartless villain. He does this with amazing skill as it is one of the hallmarks of his fiction, inventing heartless, sadistic sociopaths who are worst than any monstrosity Hollywood could ever invent. 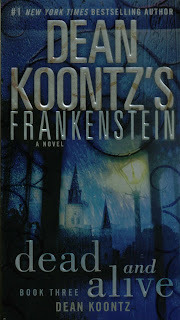 Koontz understands that in a world of sinners and saints, we don’t need special effects to make monsters. Too many of them walk among us every day. FRANKENSTEIN – DEAD AND ALIVE may be a pulp an outlandish pulp nightmare, but its good versus evil theme is all too believable and scary as hell. I generally tend to shy away from most fantasy novels as they seem frivolous and lightweight. It’s like having a vegetarian meal of tofu and other assorted veggies, when what you are really craving is meat and potatoes. 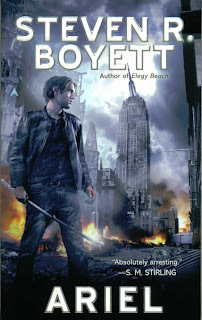 Steven R.Boyett’s ARIEL is clearly a meat and potatoes variety of a fantasy adventure. There is nothing fanciful in his apocalyptic setting wherein the world we know, the world of science and technology, one day simply ceases to function. Just like that, all the laws of science are no longer valid and replacing them is the magic of ancient mythology. Then one day the protagonist, a young man named Peter Garey, encounters a unicorn in his travels through this lonely, silent landscape. The snow-white unicorn’s name is Ariel and she an immature creature seeking direction and guidance. She is intelligent and can talk, able to learn from Pete. Thus the two quickly come to learn they need each other if they are to survive in this wasteland aftermath of what Pete calls the Change. Underlying the entire narrative is the sexual tension created by the fact that Pete can touch Ariel and share a bond with her because he is still a virgin. Ariel is purity personified and only virgins can make contact with her; others are painfully burned. And that’s the entire set up. What makes it unique and original is putting such a fantasy pairing into a gray, foreboding world. Along their journey, they meet a sword wielding philosopher named Malachi Lee who warns them that a necromancer has set up shop in the ruins of New York and should he learn of Ariel, will make every effort to capture her for the magical properties of her horn. No sooner is this warning given then they are set upon by agents of that evil magician and blood flows. Boyett, himself a student of martial arts, describes violent encounters with a clinical precision that is based on his actual fight training. There are some glorious sword duels throughout and when Ariel is eventually captured by the villain, Pete and Malachi lead a rag-tag army of Washington based survivors in an attack on the necromancer’s stronghold, the Empire State Building. This is not your kid sister’s fantasy, but a fast paced, thrill ride that culminates in a page-turning battle amidst the cramped halls and offices of this iconic landmark. 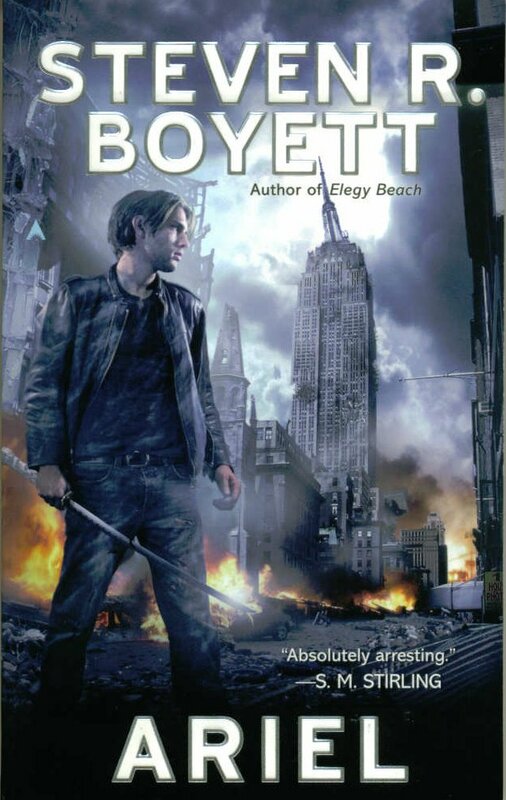 ARIEL was Boyett’s first novel and was released way back in 1983. 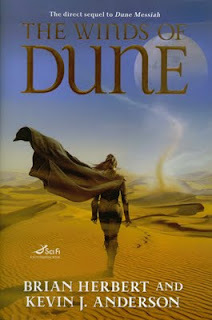 It launched his career and became a cult favorite amongst sci-fi and fantasy readers. The book wraps up on an open-ended line that indicated there would be more adventures to come. Now, after twenty-six, a sequel has been delivered in hardback called ELEGY BEACH occasioning the re-lease of this new paperback edition of ARIEL. I’m eager to get to it, as ARIEL is truly a remarkable, entertaining adventure book that doesn’t disappoint. If you’ve passed it over all these years, undecided whether to give it a go, hesitate no longer. ARIEL is simply a terrific book. Since the Wright brothers first took to the air, the history of aviation in America has revolved around unique individuals. All of them possessed indomitable courage which gave them the impetus to reach for the clouds and the annals of flight are filled with their names and exploits from Amelia Earhart to Charles Lindbergh. Recently all of us were duped by a balloon-boy hoax that was cooked up by a warped, celebrity craving couple from Colorado. No sooner was this story plastered all over the news, then I received this marvelous book about the “real” balloon boy, Cromwell Dixon. It is a beautiful illustrated children’s book that relates how, in 1907, a fourteen year old Cromwell, in wanting to emulate his flying heroes, decided to build a flying bicycle and ride it in competition over the streets of Columbus, Ohio. After a few setbacks, to include a disastrous fire that destroyed his first lighter-than-air balloon, Cromwell, with the loving support of his mother, finally triumphed. He actually affixed a modified bicycle to a giant balloon and flew it. 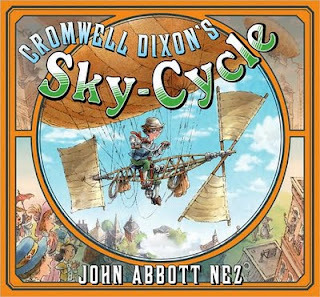 So successful was he that eventually the newspapers tagged him, “America’s Boy Aeronaut.” Now, thanks to the extremely talented John Abbott Nez, who has over fifty children’s books to his credit, this long forgotten story of Cromwell Dixon is finally retold. There is even a photo of Cromwell and his mother in their garage in the book’s special epilogue. Everything in this marvelous adventure book is true. If you’ve any young readers in your family eager to experience the early years of flight through the eyes of one of their own, you should pick up a copy of this book. It is truly inspiring. Bogus documentaries have been a comedy stable of the film industry for many years now. In 1983, Woody Allen, using state of art the trick photography, invented a fictional biography of a fellow named Zelig; a living chameleon who was present at some of the major political events of the 20th Century. The film was so flawless in its special effects it helped coin a new word, mockumentary. Later Roger Zemeckis employed the same movie magic interweaving the life of the fictional Forrest Gump with real, historical personalities such as John F.Kennedy and John Lennon. Now, thanks to the amazing work of graphic artists Paul Guinan and Anina Bennett, we have this wonderful oversized coffee-table book detailing the history of the most famous mechanical man ever created, Boilerplate. Through the use of archival pictures, we are shown the histories of inventor Archibald “Archie” Campion and his sister, Lily, at the end of the 19th Century. Both siblings are pioneers for social revolution and deeply affected by the constant scourge of warfare that continues to take thousands of lives throughout the world in various global conflicts. Thus, in 1893, Archie builds Boilerplate to be a robot soldier, his dream being that one day governments will adopt his philosophy, and employ only armies made up of mechanical warriors. In the process of promoting his grandiose vision, Archie and Lily travel the world with Boilerplate and thus find themselves intimately involved with some of the most monumental events of the late 19th and early 20th Century. From charging up San Juan Hill with Teddy Roosevelt and his Rough Riders, to saving the life of Mexican revolutionist, Pancho Villa and battling with Lawrence of Arabia against the Turks in World War One, Boilerplate and the Campions move through history in an amazing visual Odyssey beautiful detailed in hundreds of authentic (hmmm) black and white photos and colorful pictorial essays of the time. The fun of this volume is captured on every beautiful laid out page and even though the entire conceit is adult make-believe, let me make one thing extremely clear, Guinan and Bennett have done their homework and the history they present framing their fanciful tale, is true and absolutely just as fascinating. You can read BOILERPLATE for the sheer audacity of its gimmickry, but will also come away with a vast knowledge of little known historical data that is nearly worth the price of the book itself. Now that’s a double treat for any real lover of history, bogus or not. 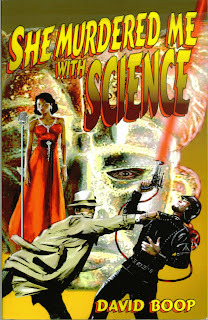 Van Allen Plexico seems determined to create a new sub-genre of adventure fiction I like to call tekno-pulp. The link between the roots of American pulps and comics books are so intertwined, it would take a Solomon to untangle them. At the height of their popularity in the late 20s and early 30s, hero pulps were the main course for imagination starved kids in this country. They feasted on tales the Shadow, Doc Savage and the Spider with unabashed relish, and then they grew up to create their own heroes; Sueprman, Batman, Captain Marvel, Wonder Woman, etc.etc. And thus as the pulps died out, at the end of World War II, the superhero comics easily stepped in and took their place in the hearts and minds of the new post-war generations. Over the subsequent decades, many writers have made cursory attempts to bring the excitement and wonder of super-hero sagas into the prose field. Few have had limited success. Which is why this series by an avowed comic-book lover, is finally breaching that gap between the two formats and doing it brilliantly. Plexico, inspired completely by the Marvel and DC books he read as a child in the 70s, has invented his own super-hero team, the Sentinels, and they are clearly his homage to those comics. But with a truly wonderful difference in his understanding of prose and the potential it offers to dig deeper into the psyches of his spandex-wearing characters. His gift of storytelling is razor sharp and he captures the reader’s interest from the first chapter to the last, never allowing the action to flag once. 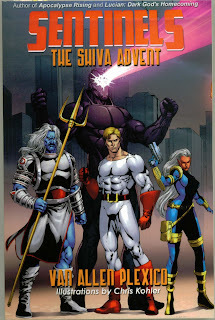 SENTINELS – The Shiva Advent is Plexico’s fourth book in this series, taking up where he left off with his first Warlord Trilogy. 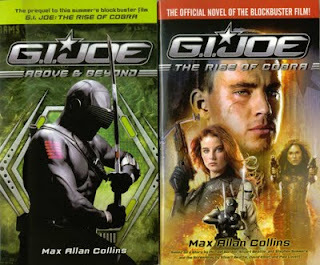 Resting on their laurels from having the saved the world in that first series of books, the Sentinels are attacked by an alien robot of unbelievable power and their leader, the mighty Ultraa, is kidnapped. Now it’s up to super scientist, Esro Brachis, the armor clad champion, to lead the team and not only rescue Ultraa, but learn the secret of their new foe. At the same time, Plexico begins to delve into Ultraa’s mysterious past as the layers of his amnesia slowly begin to peel away to reveal an amazing history filled with alien visitors to earth during the time of the American Revolution. Using the classic pulp styling of weaving in and out of several plots, Plexico delivers a gripping adventure that is so much fun, I hated to see it come to end. 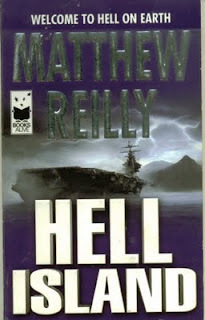 But be forewarned, this is only the first of a trilogy and the climax is a mind-blowing cliff-hangar of gargantuan proportion, leaving the fate of the world in jeopardy. If you are one of those readers who enjoyed comics growing up and have since put them away because of some ill conceived idea that they are no longer relevant, here’s your answer in recapturing that old magic, but in a brand new, clearly sophisticated adult approach. This is pure tekno-pulp heaven! The year is 1987 and the world is grappling with the economic collapse of the Soviet Union and end of Russian Communism . Fritz, Sly, Matthias, Mitz and Otto are the Gantlet brothers, a family rock group with a rather dramatic past. Born in East Germany, the five boldly escaped over the Berlin Wall to freedom years earlier. In the process, they acquired certain skills which, once relocated to the United States, they found commercially beneficial to their survival. To fund their music career, the brothers hire themselves out as bodyguard/security experts. This in turn leads to them into various adventures conducted in the shadowy alleyways of global espionage. As this story beings, we learn that a disgruntled former KGB general is determined to see the Hammer & Sickle returned to its former glory. To achieve this end, he and his fanatical followers, hatch a plot to smuggle three nuclear bombs into the U.S. in small, harmless looking suitcases. 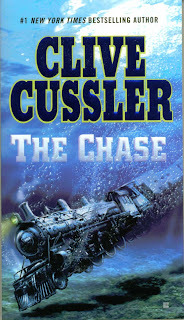 It is only by chance that Sly and Fritz Gantlet discover the plot and are soon working hand in hand with the C.I.A. to find the three deadly containers and disarm them before the mad Russian can start World War III. From the Agean Ocean to London, New York, Seattle and San Francisco’s Chinatown, the brothers find themselves propelled into a tense race against time, with only their wits and reckless courage to see them through. And as if three nuclear suitcases weren’t enough to deal with, a former German adversary turned mercenary appears with his own personal vendetta to settle against the brothers. And then there’s the beautiful female rock star who Sly finds himself enamored with. But is she one of the good guys or a double agent sent to destroy them? Jenkins is a capable storyteller who is clearly having fun with this old fashion thriller. He has created a marvelous cast of characters unlike any others we’ve encountered in action fiction before and the sibling dynamics is a truly fresh approach to the genre. This is clearly modern pulp and worth your attention and support. 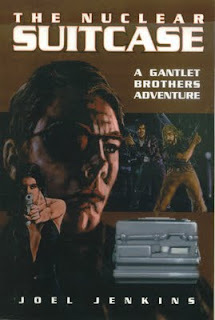 Here’s hoping we haven’t seen the last of the Gantlet Brothers. 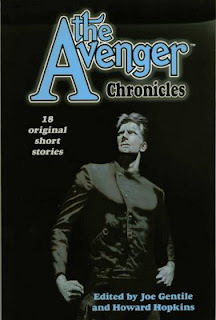 For most of his writing career, Lester Dent chronicled the adventures of heroes like Doc Savage, Richard Benson; the Avenger and the Skipper. He was considered by many to be one of the greatest pulp writers of them all. What most people don’t know is that Dent was never satisfied with his pulp efforts and aspired to work for the higher class publications known as the slicks. 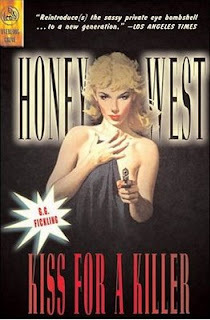 To achieve this goal, he wrote crime fiction like HONEY IN HIS MOUTH, which was completed a few years before his death in 1959 but never published. Kudos to Hard Case Crime for releasing what is a delicious black comedy. 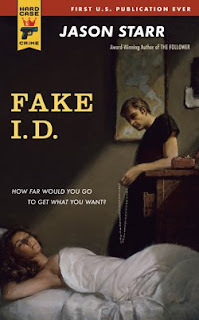 Walter Harsh is a two-bit con artist barely making a living with his portrait scams. An automobile accident lands him in a hospital with a broken arm. Here he is approached by a group of South American agents who worked for a ruthless dictator known as El Presidente. Their leader’s position is precarious at best and it appears a military coup is in the offing. The clique, consisting of three men and El Presidente’s former mistress, have hit upon a scheme to do away with the soon-to-be disposed tyrant and abscond with his hidden funds deposited in various American accounts. To do so they need to find someone who can pass as an exact double for El Presidente and that person is none other than Walter Harsh. Of course Dent is taking the basic plot line of Anthony Hope’s classic adventure romance, THE PRISONER OF ZENDA and turning in on its head. Instead of a noble British adventurer coming to the aid of a small foreign republic, as happens in Hope’s 1894 novel, we are given a low-life hustler about to become the lynch pin to a million dollar scheme far beyond his meager imagination to grasp. 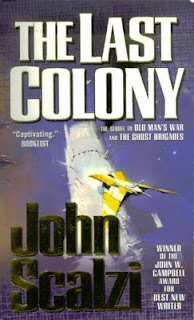 The book works because Dent’s ability to capture the essence of his characters is simply brilliant. Harsh from page one is a sneaky little creep the likes of which you never meet. Throughout his adventure, he never once shows an ounce of decency or goodness. His selfish perspective on life is simple, all the world’s riches were meant for him and him alone. Which is why the ending is truly inspired justice that will have you chuckling. 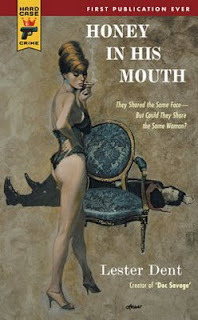 Lester Dent was a rare talent who carved out a niche forever in the annals of hero pulps, but books like HONEY IN HIS MOUTH lay claim to the true depths of his writing genius. This book comes out in early, Oct. Don’t miss it. It happens regularly that I’ll get an e-mail from a new publisher asking me to review one of their titles in the hopes of increasing their visibility in the marketplace. Such was the case when a received such a letter from the good folks at UK’s Pulp Press. I decided to take a few seconds to check out their website (http://www.pulppress.co.uk/). I came away with a feeling that here were a bunch of talented young creators eager to set the publishing world on fire by bringing back the fast-paced, punch-in-the-groin pulp paperbacks of the 1950s. Sort of their version of our own Hard Case Crime. I let them know I’d be only to happy to read anything they sent along. A week later this slim little book arrived in the mail. Eloise Murphy is an aging dancer who believes she’s experienced all the ups and downs life has to offer. Having been inspired by the classic “tease” dancers like Belle Starr and Gypsy Rose Lee, Eloise is disgusted with the new anything-goes mentality of the current lap-dancers taking over all the gentlemen’s clubs. When she gets fired for being too old fashion, it leaves her in a depressed state and ripe for targeting by a very secretive outfit in town. A wealthy businessman owns a unique, private club and wants Eloise to come and work for him. When, during her interview, she is given a set of photographs depicting dark events of her past, the truth about the set-up is revealed. She is being blackmailed into performing for a group of cruel, sadistic men who relish inflicting pain on women. The violence is quick and vicious and by the end of her first encounter, Eloise is left bruised and battered, what whatever little decency she had left completely obliterated. 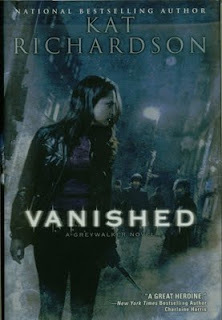 She then becomes deadly and sets out to claim bloody vengeance against those who have used her. As the violence escalates from page to page, I found myself recalling all those exploitation B-movies of the late 60s and early 70s. Writer Danny Hogan is a capable craftsman whose prose is extremely lean and he doesn’t waste a line or paragraph about anything other than Eloise’s fury and the hell she brings down on her enemies. This is a short book which can easily be finished in an hour or two. But don’t let that fool you. It may just be the most enjoyable reading hour you’ve spent all year. Finally a word of caution, this isn’t for the squeamish. You’ve been warned. Long ago, while in high school, I read two coming-of-age novels that stayed with me for the rest of my life. Both were as different as books could possibly be. One was an assignment, the other of my own choosing. TO KILL A MOCKINGBIRD by Harper Lee and THE CATCHER IN THE RYE by J.D. Salinger brilliant captured the obscene vulnerability of youth and the horrors of adulthood as played out against two different settings; on an urban maze of loneliness, the other a southern community filled with backwoods racism. Since reading those two books, I’d not found another voice so rich in describing the adventure and confusion that is growing up in America until now. 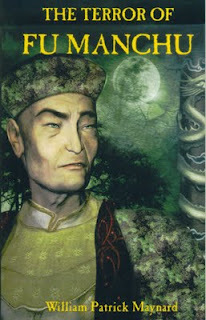 THE MAGICIAN, like those earlier books, tells that same journey; only its route is one of magic and fantasy. Quentin Coldwater is a young New Yorker about to enter college. An only child of disinterested middle class parents, the one joy in his life to this point has been a series of fantasy novels set in a magical land called Fillory. Think Narnia and you’ll be quickly brought up to speed. On the eve of his entrance interview for Harvard, Quentin enters a cold winter alley in Brooklyn and emerges in the woods of upper New York State on a warm summer day. He has traveled to a school of magic known as Brakebills, where he is informed that he posses such arcane skills and if he can past the curriculum, he will be trained to become a real magician. Here the reader will most likely envision Harry Potter’s Hogsworth. But the similarities are few, as Grossman paints Brakebills as an imperfect setting for lost children frantic to find their place in a world they feel constantly alienated from. They are a jaded group of loners and even a wondrous school of magic cannot completely eradicate their self-imposed ennui. At Brakebills, Quentin finds love and friendship and eventually the grandest surprise of all, Fillory actually exist and he and his chums discover the magical means to travel there. But alas, every Eden has its serpents and the fantasy world that so comforted him as child soon becomes a hellish nightmare with a monster like none other he had ever imagined. Through his trials, Quentin sacrifices much and endures great pain before coming to grip with life’s most difficult challenge, making sense of it all. Grossman’s tale is part coming-of-age fable and part philosophical dissertation on what the nature of life might be. If there is a God, he posits, then perhaps he, or she, is the Great Writer of All, and Quentin, like the rest of us, must eventually come to the realization that we are all characters in some cosmic book. It is up to each of us to decide whether we are the heroes, villains or merely supporting players. Quentin has to stop giving the past unwarranted importance and stop believing the future holds some pot of gold happiness, if only he can reach it. In the end he learns to accept that immortal Now, which as Thorton Wilder once wrote, is only captured briefly by poets and saints. 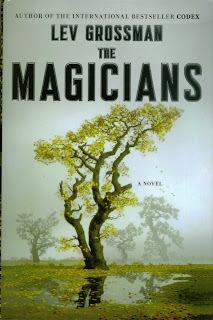 Grossman may not be a saint, but with THE MAGICIANS, he clearly establishes his poetic sensibilities. This is a book I will not soon forget. After enjoying Reese’s first collection of stories starring his original pulp character, the Rook, I was anxious to get into this new volume which sports a terrific Frank Brunner cover. The book contains six fast paced, action heavy stories of Max Davies, a man psychology scarred as a boy when he saw his father gunned down by hoodlums. Davies, in the vein of the classic Bruce Wayne/Batman mold, travels across the globe as he matures and learns all the sciences and fighting skills he will require in his campaign to combat evil and injustice. These are classic hero pulp yarns set in the 30s and 40s and told in the manner of those great digest mags. 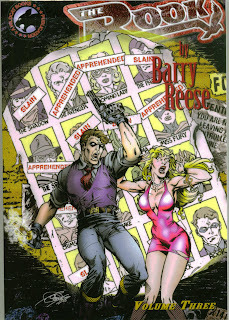 One of Reese’s strengths as a writer is his ability to reinvent iconic pulp figures in a whole new light. An example of that in this collection is his debut of the Russian hero, Leonid Ksalov, clearing meant to be a new version of Doc Savage. He’s a great character and another helpful ally to the Rook in his war against the agents of darkness. Which brings us to this series’ overriding theme, occult and supernatural threats. 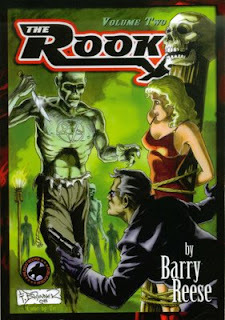 Unlike other classic pulp vigilantes who battled mobsters and would-be world rulers, the Rook takes on the bizarre, other-worldly foes like vampires, immortal Chinese madmen, zombies and even a baby blood-sucker at one point. 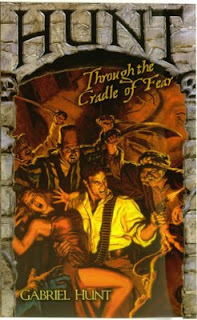 Ghosts abound in every adventure and one quickly learns that the Rook’s world is a very scary and menacing one. Yet with the help of his lovely wife Evelyn, a one-time movie B-queen, McKenzie the local sheriff and now Leonid Kaslov, the Rook still manages to overcome the forces of evil and win the day. So in the end, this volume is even better than the first. Although you don’t need to read the first to enjoy it, I’m betting once you delve into the Rook’s adventures, you’ll most likely want to collect all of them. I sure do.